Imperial College London will bring together its community of innovators for a month-long programme of events throughout March. Imperial’s Enterprise Month 2019 will include four weeks full of showcases, competitions and exhibitions, highlighting the best of student innovation and entrepreneurship from across the College. The month is organised by Imperial Enterprise Lab, which works to support enterprising activity across the College by providing access to state of the art facilities, training, mentoring and a range of programmes to help Imperial’s student innovators develop new business ideas, hone their pitching skills and raise their entrepreneurial aspirations. Imperial – ranked the UK’s most innovative university by Reuters – has a rich and rapidly expanding entrepreneurial ecosystem. The College’s Review of Enterprising Activity, published earlier this year, reported that in 2017-18 a record 41 student startups were incorporated, 180 new jobs were created, and over £17m investment was received by student startups. There are more than four times as many active student startups as there were four years ago. One of the highlights of the month is WE Innovate, the College’s flagship entrepreneurship programme for female students, designed to support the next generation of women entrepreneurs to accelerate their startups. At the final showcase event on Thursday 7 March, which is sponsored by BP, the five pioneering finalists will pitch their ideas to a panel of academic and industry experts to win part of a £30,000 prize fund. Last year Saujanya Vruddhula, an undergraduate student from the Department of Life Sciences, took home £15,000 for a technology that could stop counterfeit drugs entering the market using blockchain. This year, the WE Innovate team have teamed up with Imperial Lates: Wonder Women to host a celebration of female-led innovation, research and achievement. 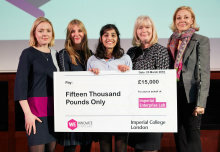 Alongside the WE Innovate final, the College will host a packed programme of bite sized talks, creative workshops and performances which will showcase the amazing research, innovation and artistic talents of Imperial’s community whilst exploring what it means to be a woman in the modern world. The Venture Catalyst Challenge (VCC), the College’s largest entrepreneurship competition, supports deep science and early-stage tech startups founded by Imperial students. At the final on Thursday 21 March, the final six teams will pitch their ground-breaking ideas and innovations to industry-leading judges and compete for a share of the £80,000 prize fund – the largest in the competition’s history. The competition, powered by digital venture builder Blenheim Chalcot, includes five different tracks: Digital, Consumer and Fintech, Energy and Environment, AI and Robotics, Health and Wellbeing and Social Impact. The VCC provides access to an intensive seven weeks of masterclasses, coaching and meetings with experts. The winners of VCC 2018 were Momoby, founded by Ana-Luisa Neves and Andrea Rodriguez-Martinez, who developed a small device that can test for diseases with a known impact on pregnancy by using a single drop of blood. Imperial College Business School will host a one-day innovation and entrepreneurship boot camp on 2 March, inviting prospective students to develop an innovative idea through a day-long boot camp, culminating in a pitch in front of a panel of experts, including investors. 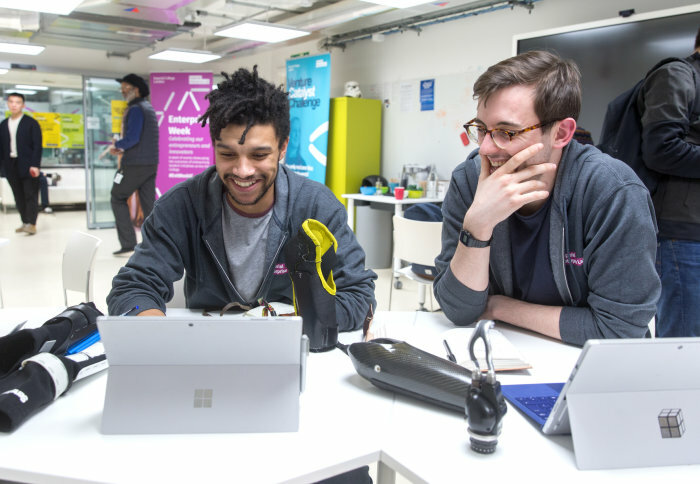 Imperial’s Advanced Hackspace, a unique community of over 2,000 like-minded makers, hackers, inventors and entrepreneurs across the College, will showcase staff and student creations from the past year in an exhibition in the College’s main entrance on 14 – 15 March. 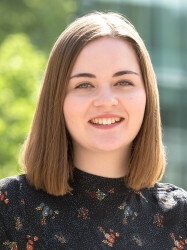 The IGHI Student Challenges competition invites students studying at institutions across the UK to submit their innovative ideas tackling global health challenges. On Tuesday 19 March, finalists will pitch to an esteemed judging panel who will decide on the winner of the £5k prize. The Dyson School are opening the doors of their new building on Friday 22 March for a celebration of the design engineering community and culture of innovation. Visitors will have the opportunity to discover leading and emerging design engineers through talks, installations and exhibitions of work. Secondary school students will also have a chance to innovate as part of the Schools Science Final. Teams will select a UN Global Goal for Sustainable Development and devise a new and innovative scientific solution. The shortlisted teams will then present their idea in front of a live audience and panel of VIP judges. See a full list of Enterprise Month events on the Imperial Enterprise Lab website. Ben Mumby-Croft, Director of Imperial College London's Enterprise Lab, said: "Building on the success of last year’s Enterprise Week, we’re delighted to announce a series of events and activities across the entire month of March and look forward to showcasing Imperial’s amazing community of student innovators and entrepreneurs."